Banker Dave Davis is arrested in the middle of the night, his dog Breezee the Basset Hound howling in protest as they're hauling him away. The charge? Killing one of his oversexed ex-wife’s boyfriends, who'd also been Dave’s boss. While Dave is languishing behind bars with his biker cellmate, his uncle, a former prosecutor, forms the defense team. Besides himself he has his old retired investigator, a former police detective turned part-time private eye, and Dave’s dog. The DA believes they have the right man, but one of the detectives responsible for Dave’s incarceration does not. So she digs into the case without letting on how enamored she is with their handsome suspect. Will Dave ever see the light of day again? If not, will Breezee get visitation rights? Will the real killer ever be found? If so, will the smitten detective get her man? And whatever happened to Dave’s girlfriend, who vanished before he was arrested? Kevin Johnson’s physician parents have him attending the finest school in the area. Ironically, it’s a Catholic school, and they aren’t the least bit religious. But Kevin likes it, likes that his cousin Brian goes there, likes a girl he met there. He’s looking forward to a wonderful summer with her, until his parents ruin everything. They’re going away on a medical mission, and he’s going away to live with grandparents he met once. His grandmother had been an art teacher and his grandfather a mechanical engineer, whose father drove race cars for notorious gangster Al Capone during the Golden Age of Sports, then ended up in prison. That’s the part of the family scandal that Kevin’s parents revealed, but there’s more, and he’s determined to find out everything. What else could he possibly do out in the middle of nowhere with two old people? Kevin Johnson and his grandparents, plus his girlfriend and hers, are launching his racing career. They’re doing it on the sly so his stressed-out, on-the-brink-of-divorce parents won’t find out, but Kevin is getting a little stressed-out himself. 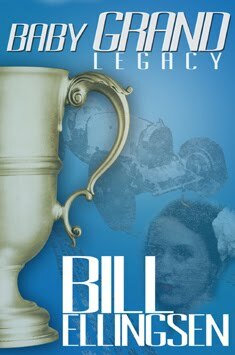 Everyone expects him to continue the family legacy where his great-grandfather left off, but that was over eighty years ago. 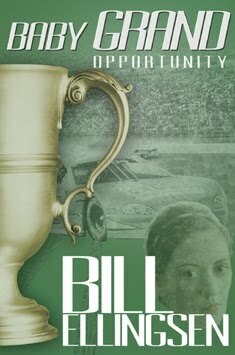 None of them had been alive during the Golden Age of Sports, when the legendary driver did miraculous things behind the wheel. How can Kevin live up to that? Kevin Johnson’s parents sign him up to drive for Baldacci racing, a partnership headed by football great Andy Baldacci. But Andy’s own partners sell him out, leaving controlling interest with a company that Kevin wants nothing to do with. He’s under contract, though, and has no say in the matter. His girlfriend is even less pleased when she's sent packing and banned from being seen with him in public. They can’t, however, stop her from being with Kevin on his own time, but he's going on the road for extended periods. So she pitches her chassis set-up skills to another team, to stay in the game and keep an eye on the competition … competition for Kevin. It isn’t that she doesn’t trust him; she just doesn’t trust the cute little driver she’ll be working for, or Kevin’s newly assigned personal assistant. 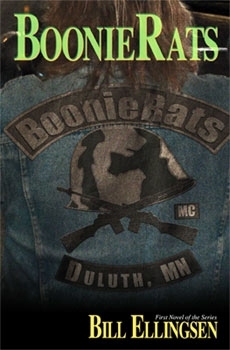 All eleven members of the BoonieRats Motorcycle Club have jobs, but they also smuggle marijuana. The jobs are their known sources of income, the smuggling a secret even their women don’t know about. They’re off the radar, literally and figuratively: flights in and out of Canada at treetop level, everyday behavior low-key. They even help out at their leader Jake Olson’s shelter for homeless military veterans. Some of them used to live there; the one who runs the place still does. They’re barely keeping up with business when trespassers infiltrate their airstrip. Good thing Jake just saved a former dog scout handler’s life. He’s suicidal and suffering from post-traumatic stress disorder, but he has the ability to train a canine security force. As soon as he’s stable, they offer a provisional membership. By the time he gets the new security team up and running, he’s a full member, happy and flush with cash. They all are until Jake goes missing. First stand-alone novel in the series. Horse ranchers Jake Olson and Frank Schroeder meet their old BoonieRats Motorcycle Club brothers at the Sturgis, South Dakota motorcycle rally. While they’re there, two Native American career criminals—the scourge of their tribe—take what's dear to the ranchers and lure Jake’s wife into the wilderness to pay the ransom. But then they find a gold mine on Jake’s property. A mine Jake has never seen. The ransom money will be nice, but the gold will set them up for life. A former outlaw biker and his spooky little dog catch wind of the scheme and rush to stop it, unaware of a shaman and his apprentice assassins waiting to make their move. 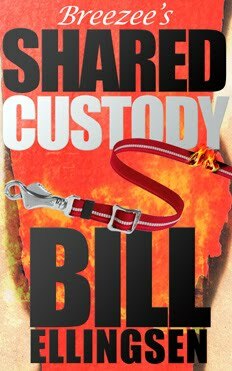 A foxy grandmother undersheriff finds out something is amiss and gets on the case, too. One step behind them all but coming on fast is Jake Olson, armed with nerve and a .357 Magnum. Saddle-up for this mystical Wild West-like thriller that takes place not in the 1880s, but the 1980s. 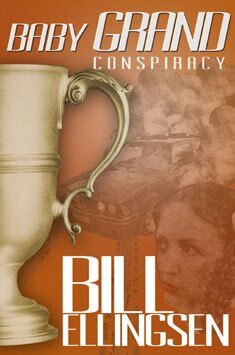 Second stand-alone novel in the series. A six-year-old boy named Jacob is taken by his mother’s outlaw biker boyfriend and placed in the custody of a talented but naive stripper. The biker and his gang want information that’ll help them pull-off the biggest warehouse heist ever, and the boy’s mother has it. 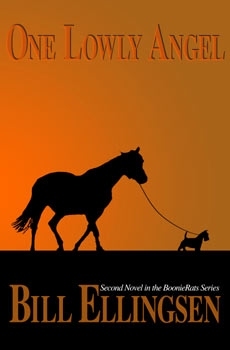 Desperate and alone, she contacts the man she swore never to speak to again, Montana horse rancher Jake Olson. He and his foreman meet-up with their old BoonieRats MC brothers in Chicago to rescue the son Jake never knew he had, only to get caught-up in a Mob war. 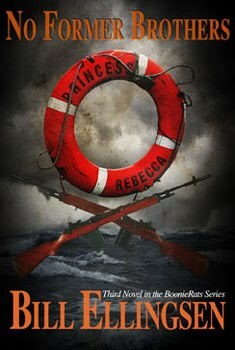 Third stand-alone novel in the series.